You could easily do these on a large-scale for party appetizers or dinner. Feel free to use whatever toppings you care to – black beans, onions, olives, jalapeno – layer them to your tastes. Just make sure there’s enough salsa and cheese to make things melty and bound together. 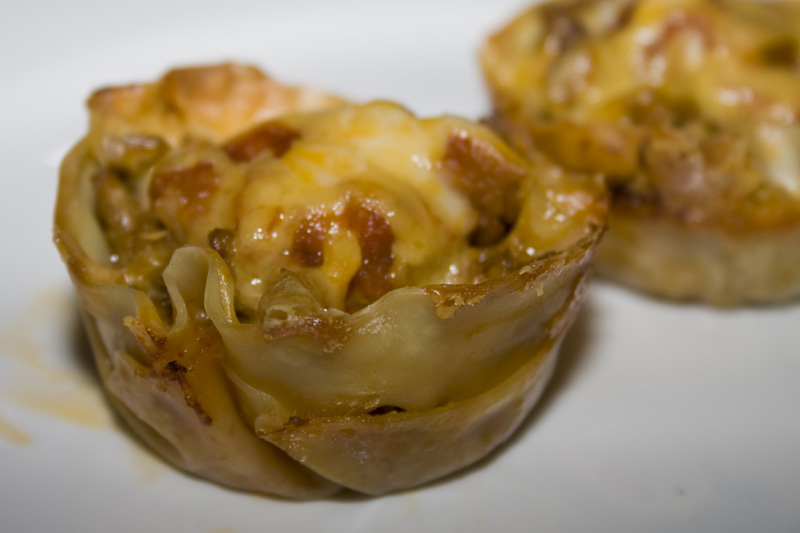 You can use the square wonton wrappers or the round gyoza wrappers for these. Both will work just fine. Start with wonton wrappers (found in the cold section of most grocery stores over by the cold salad dressings and the soy cheese stuff) and press them into cupcake tins sprayed with non-stick cooking spray. 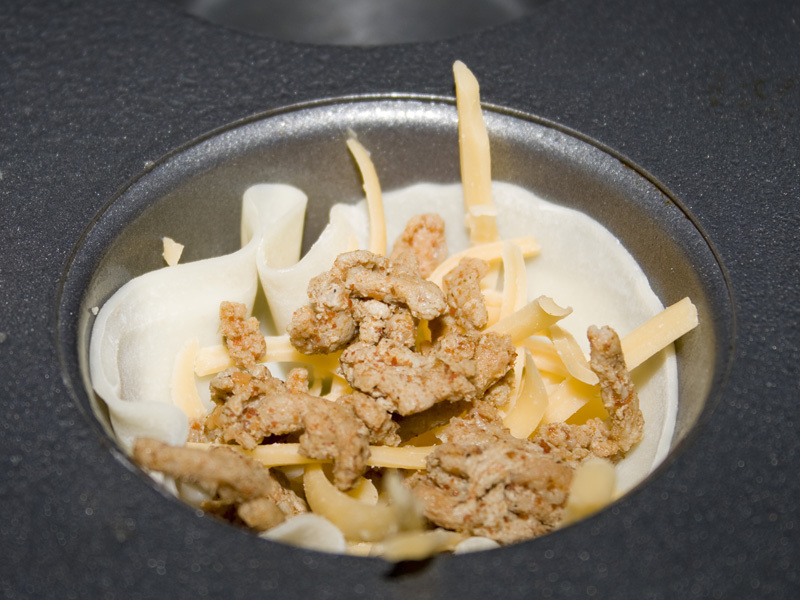 Top with cheese of your choice. Then we’ll layer up some ingredients. Meat, refried beans and salsa went into mine. 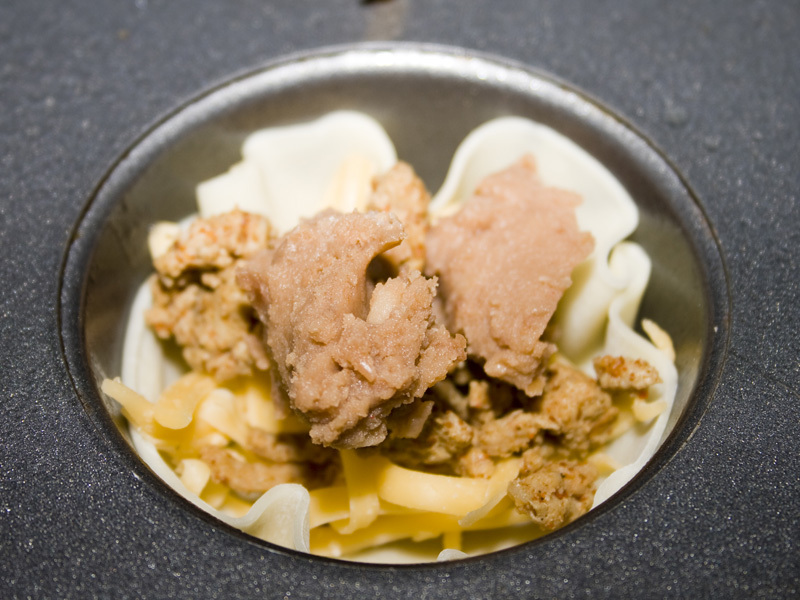 Then top with another wonton wrapper and layer again starting with the cheese. It’s ok to be messy. Press it all down in there. Top with a little more cheese. 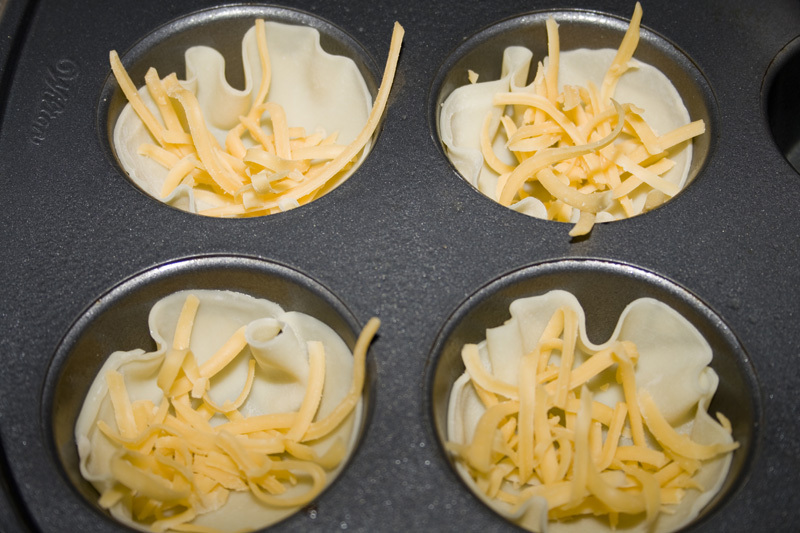 Bake at 375 for 18-20 minutes until the wonton wrappers are all crisp and golden and the cheese is melted. Allow to cool a couple of minutes before removing them from the cupcake tins. They are hot hot hot!! Mmmmmm. Yummy, melty goodness. I topped mine with some lettuce because apparently we don’t have leftovers of guacamole or sour cream in my house. 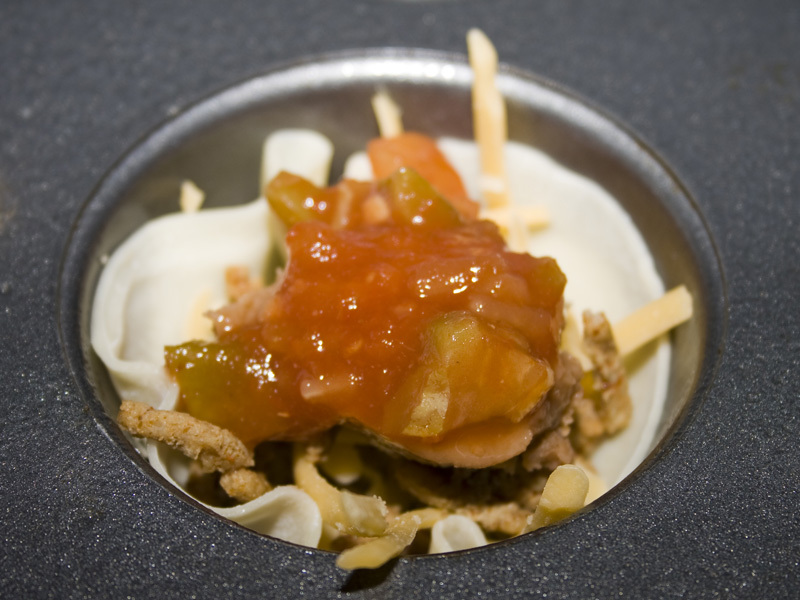 You will need about 2 Tablespoons of each topping per taco cup. 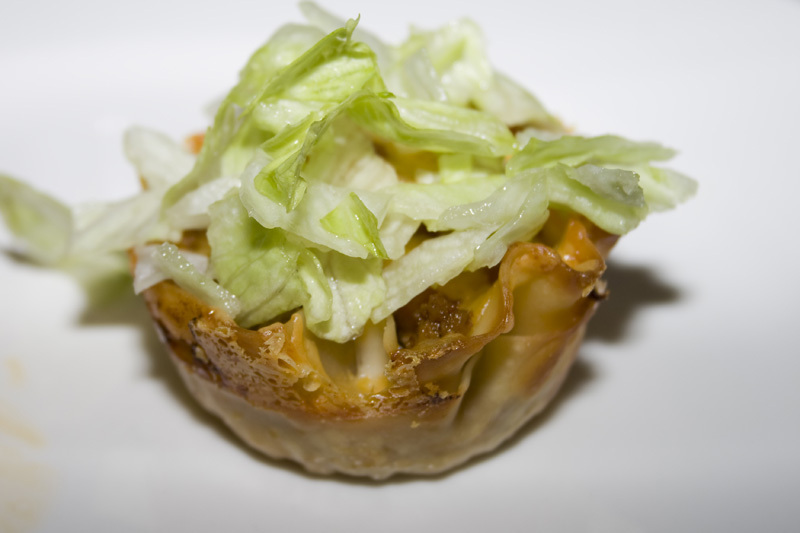 In a non-stick sprayed muffin tin layer your ingredients twice starting with the wonton wrapper. Bake at 375° for 18-20 minutes. 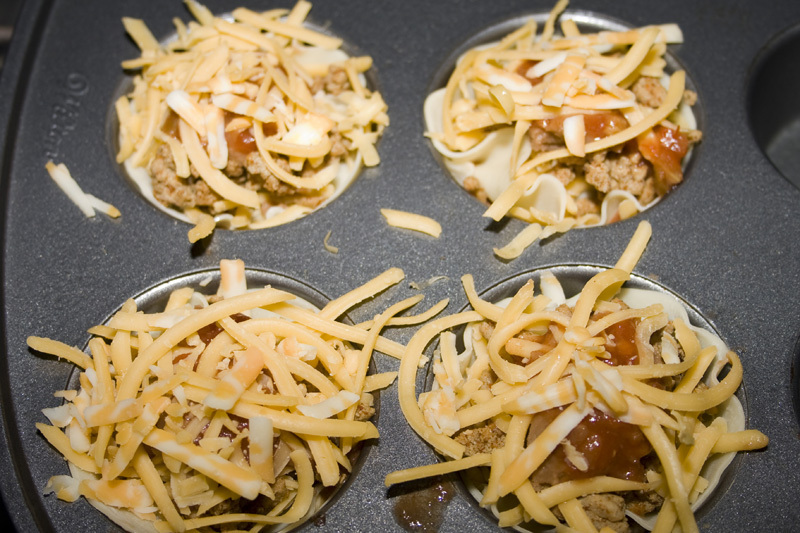 Allow to cool a few minutes then remove from muffin tins. Top as desired with sour cream, guacamole, lettuce and tomatoes.